Amazing news! 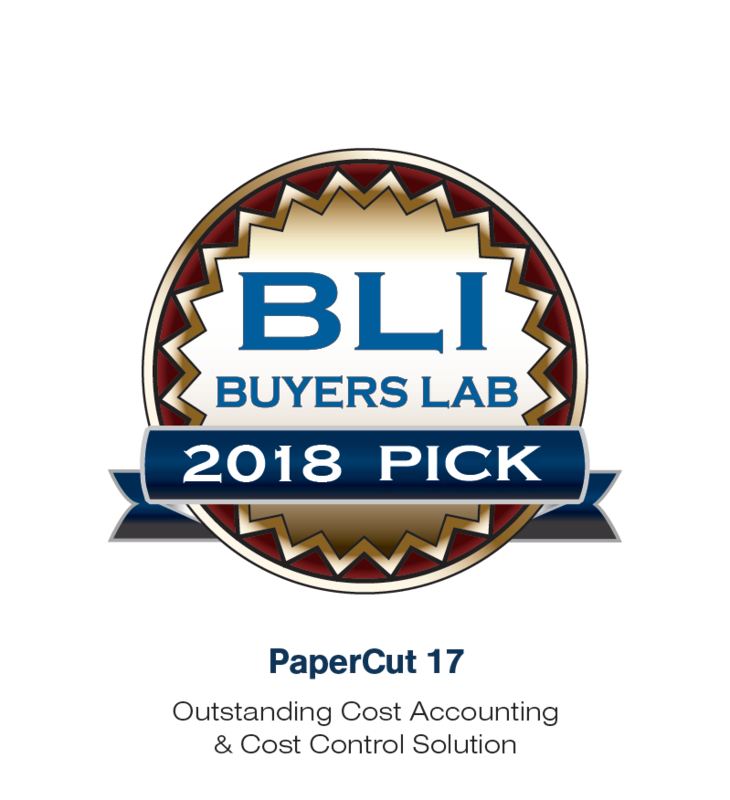 We’re thrilled to announce that PaperCut v17 was named a Keypoint Intelligence BLI 2018 Pick Award winner in the Outstanding Cost Accounting & Cost Control Solution category! BLI‘s analysts said PaperCut MF and PaperCut NG top the charts when it comes to cost savings, all thanks to the amazing features our partners and customers have had a hand in conceiving and developing; from mobility print and advanced scanning to billing, customization and support features. PaperCut v17 wouldn’t have been possible without the inputs from the PaperCut family around the world! So this award is shared with all of you. Thanks for your continued help and support as we grow the capabilities of PaperCut NG and MF software solutions. If you want to read the report overview from BLI, we’ve included some handy-dandy links below. This is the fourth time that PaperCut has been recognized by Buyers Lab for PaperCut NG and MF. The PaperCut team is always humbled by the depth of testing and feedback that the testers at Keypoint Intelligence/Buyers Lab provide as they review our software. It’s invaluable industry input as we work to make our solution the simplest, most valuable we can.